Yes, you read that headline right. 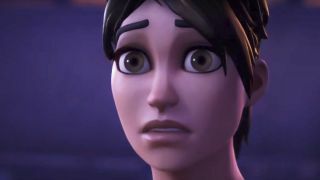 Physical editions of Fortnite, which were originally selling for around £25 a piece, have received a sharp uptick in value from certain third party purveyors online. To be specific, a quick search on Amazon reveals that certain copies are now being sold at a much higher price, ranging between £150 to £1000. It only takes a little more research to find physical copies of Fortnite bearing a more respectable cost tag of £30, but you’re just as likely to see pricing in the triple digits when surfing internet retailers like Amazon and eBay. It sounds ridiculous, but it’s really just a matter of simple economics. As higher demand throttles limited supply, the value of Fortnite’s physical copies appreciates, allowing retailers to get away with selling them at exorbitant prices, safe in the knowledge that someone, somewhere will probably fall for the scam. This is all the more ironic when you remember that Fortnite’s popularity derives almost entirely from its Battle Royale mode, which is totally free to play as a digital download. That means people who buy physical copies of the game are essentially just paying up for the box, disc, and access to the Fortnite's Save the World PvE portion, which is a by-the-numbers horde defense mode that’s fine at best but ultimately far less entertaining than battle royale. Hell, Epic Games even plans to release Save the World as a free to play product later in the year, but even if you can’t wait until then, you only have to pay around £20/$30 to unlock the digital version right now. Given that there’s not a mass load of physical stock on the market, customers are beginning to treat these boxes are rare collector’s items, and are projecting a higher cash value onto them accordingly. Even so, it’s just madness to pay anything close to even £100 for a game that can be enjoyed for much less on the digital market, and I’d even go so far as to predict that Epic will eventually release a new, more complete (and far more affordable) physical edition once Fortnite finally leaves Early Access. So don’t mistake these engorged prices as anything close to an accurate representation of value; it’s merely a case of a few bad apples trying to cash in on gaming’s biggest craze. If you still need more battle royale in your life, check out these games like Fortnite and games like PUBG for the best last-man-standing shooters out there.